Christmas is almost here and that means fun and festive times with friends and family! Delicious food, the smell of the Christmas tree, decorations, the holiday specials on TV, and the arrival of loved ones. After the festivities comes everyone’s favorite activity: presents. Now, I love to receive gifts as much as the next person does, but I discovered as I got older that I love to give more than I love to receive. The exciting feeling of deciding what to give someone. If money is tight, I like to bake gifts. The best part, though, is seeing their faces light up when they unwrap the gifts. So if you’re shopping for a tea lover (or even a coffee lover), mugs are some of the best gifts you can give. This past August, my oldest sister and I were shopping in a department store when we spotted the cutest mug for our stepmother. She isn’t much of a tea person but a huge coffee drinker and mugs are also her thing. 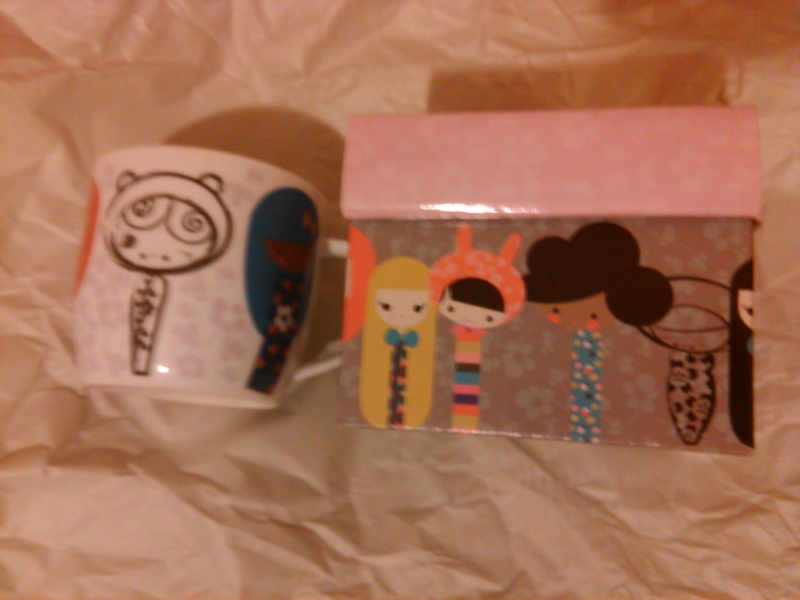 She has a collection herself that I am not allowed to use (except for one mug that I love to use, hee hee). I knew I immediately had to purchase that mug for her (especially while I had some extra money. Never too early to start). It’s a cat that says, “I have an attitude and I know how to use it!” So I got this along with a bag of Minnie Mouse (she is a fan of her) jelly beans and that was the gift. I know she won’t eat the jelly beans but she will definitely use the mug. I was lucky and picked this up in the summer when the holidays were 4 months away, but if you’re in a pinch for time this holiday season, just find a clever mug (Doctor Who, clever sayings, or whichever. There’s a mug for pretty much anyone) and fill it with some tea and honey sticks. A few envelopes of the Twinings Christmas Spice to warm up their holiday or the Twinings Winter Spice to soothe them into a crisp apple joy. Better yet, you could mix them both up and put a little ribbon or two. If tea is a little short, hot cocoa or sweets are always the best, especially chocolate! One of the benefits of becoming older and wiser is that I am appreciating the simple things like tea and mugs and how big of a gift they are to me. I don’t need any fancy gifts as as long as I have tea and the comfort that comes from it along with my loved ones. The past two Christmases I received a mug each year. The first mug I received, I spotted it at Target while shopping with my oldest sister. That year I had become a self-proclaimed mug collector, so I told my my sister that I fancied that cup. It had some cute Japanese anime-like drawings of adorable little ladies on it from Paperchase Kishi Kishi (which was actually from the UK, as I read on the box) that was briefly sold at the big box store but sadly is no longer there. It was only about $5 so it didn’t cost very much but I didn’t think about buying it. I unwrapped it come Christmas and it was immediately one of my favorite gifts. 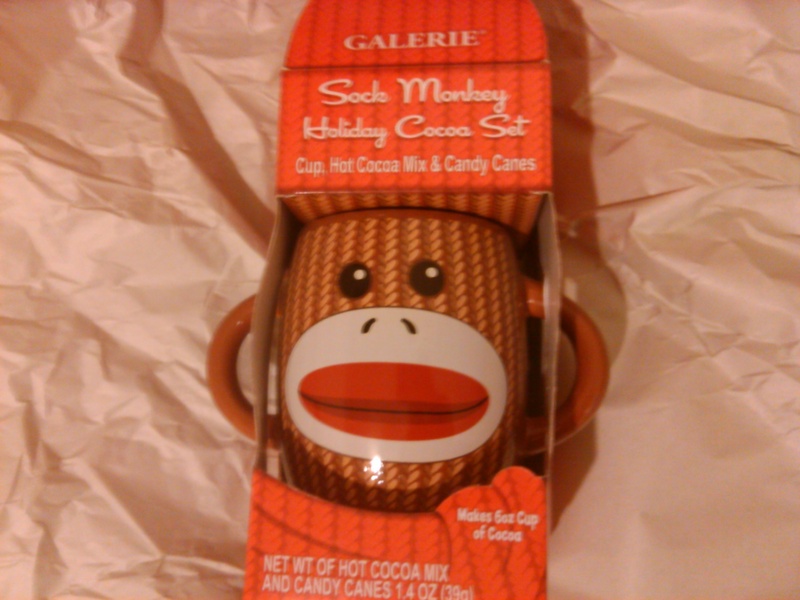 The next year, my second older sister gave me a sock monkey mug with two handles on it that was also stuffed with hot cocoa mix and candy canes. It was another one of my favorite gifts of all time since I love sock monkeys and mugs and this was all in one! That is one of my favorite things about mugs. It’s a pleasing feeling to learn your friends and family know you when they get you a mug with something you love on it (or in it. You might love giant mugs that are like soup bowls)! You get to express yourself and your loves/interests with them. Collecting mugs is a good hobby to take up. There’s a wide variety of mugs everywhere, so you can do a theme or mix and match. Just be careful because the collection does add up fast!